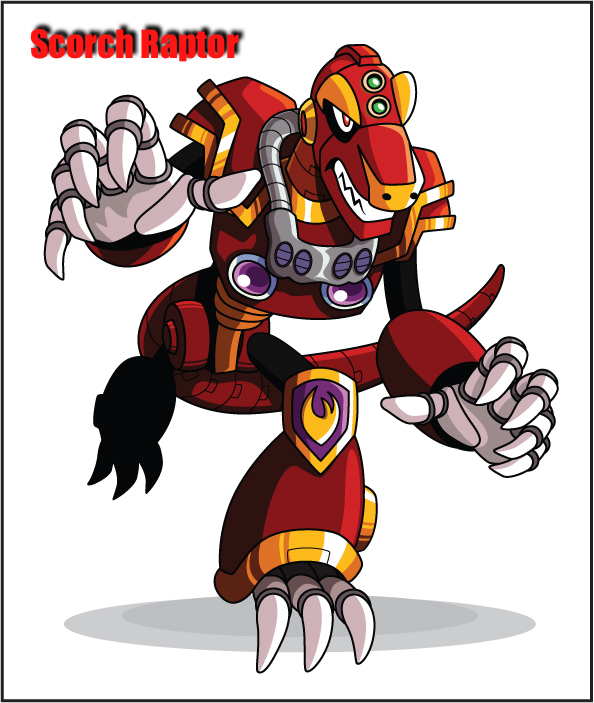 We have decided to show one of the eight Mavericks that will be in Mega Man X Eclipse. Scorch Raptor. Credit goes to our maverick designer justicefrog on deviantArt, he did a tremendous job. We are looking for the right person (or people) to sprite the 8 Mavericks of Mega Man X Eclipse. If you feel that you may be the right person, show us an example of your work by spriting one frame of Scorch Raptor. Email it to us at megamanprojecteclipse@gmail.com. We will be in touch with anyone that expresses interest.